All Out In The Street! 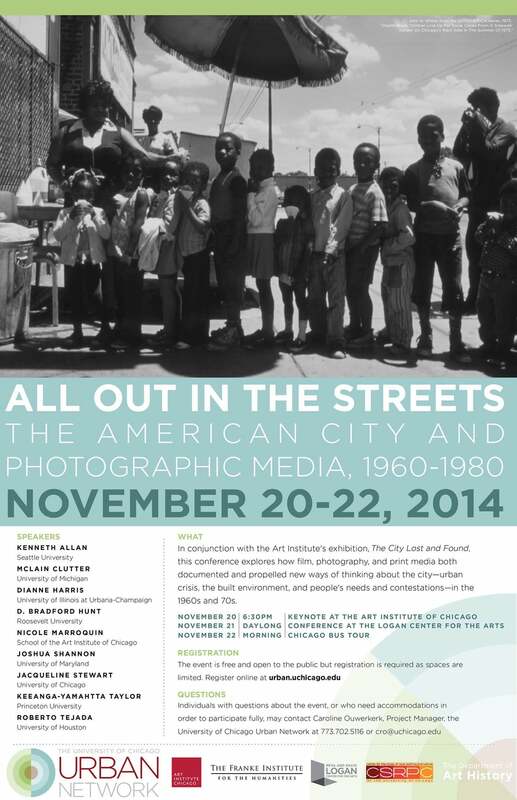 was the symposium affiliated with the Art Institute of Chicago exhibition, The City Lost and Found: Chicago, Los Angeles and New York, 1960-1980. It was a thrill to present my research on the student uprising at Froebel School, 1973. There was also a tour, All Out In the Street! I got to share images of the uprising at the actual site where Froebel School used to stand until it was demolished in 1977. If someone could verify the origins of this flier, I'd sure be interested. There are claims that it was found in an abandoned warehouse. I first saw it on the internet in a video of a lecture that happened at Creative Time in New York by Nato Thompson. Maybe he knows where it's from. I'll ask. 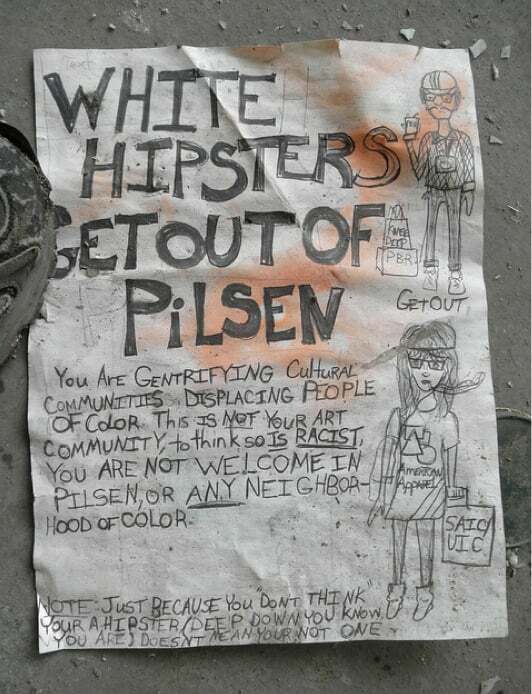 A white 20 something woman moved to Pilsen and pasted responses to spray paint tags in the neighborhood. A Sun-Times reporter called her "witty and whip smart." According to this article, she said she doesn't like to look at the graffiti on the old buildings. 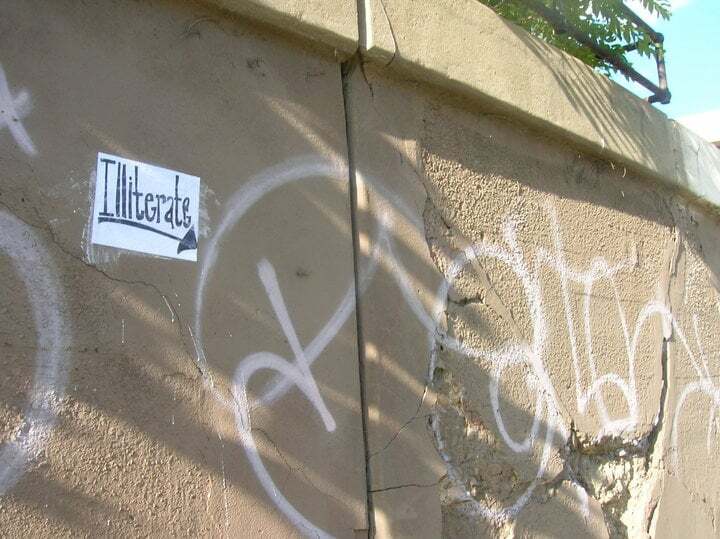 Another writer commented on the danger she was putting herself in when she pasted a sticker on top of a gang tag. Did she know she was taking a risk? Tagging is encoded, a culture of communication onto itself. It doesn't rely on the support of the media or financial support of civic organizations. It's a non-electric information board funded by the grassroots, alerting a slice of residents to the current luchas, emerging writers and visitors in the area. Not ot be confused with graffiti murals or pieces which are recently and in some places being considered an enhancement to the landscape, taggers perform their resistance, usually private property. Decentralized, secretive and controversial. Typical street tagging does not lend itself to interviews with "witty" individuals, because it's anonymous. It's direct, rather than Rodnick's printer paper with sharpie and tape, which are only still visible because of news coverage and the internet. I am thinking about power and resistance and how communication, where it happens, the attention it gets and the words one writes reflect the violence at the intersection of difference. I'm still thinking about if this is what it looks like, or if this is something different. Yayoi Kusama﻿ made this installation by giving kids thousands of stickers to kids and allowing them to do what they do naturally, but in an art museum. This was on exhibit at the Queensland Art Gallery until March 12, 2012. From the Fusebox website, "Haircuts by Children is a performance about wild haircuts, power and trust. We challenge our audience and viewers to set their vanity aside, relinquish control, and trust that a 10-year-old has the creative ability, dexterity and responsibility to command a sharp pair of scissors." This performance project is brought to you by the Canadian group Mamalian Diving Reflex, who explain the ideas and theory behind this multi-site project in the video below. In issue 6 of the Journal of Aesthetics and Protest, Karla Diaz talks about relationships between graffiti and text messaging. Both readers and writers of text and graf must have thier own particular skills and functional knowledge of the language, she says, but these languages also cross over and influence each other. So Yoon Lym is a Korean born New York painter who looks at hair braiding patterns and topographic photos. She calls this body of work The Dreamtime. If you look at closeups of her work, you can see she has painted it one hair at a time. Megumi Naitoh did a series of iPhone portraits that I saw at NCECA. Small ones were made of clay and plaster, and these larger ones are ceramic tiles. This combination of hi and lo tech makes me excited to make clay and wood surviellance cameras for spring. It also opens up the possibilities for the italian glass tiles I am itching to use. Anonymity seems so super special now that facial recognition software is built-in to most cameras and image hosting sites. I'm really excited about this artist, Marcela Armas, a Mexico City based artist, who designs things using electricity, interactivity, inflatables, and light. Here is an electric heating element in the shape of the US/Mexico border. She uses cars to inflate this highway structural support beam. Uploaded by campermedia. - See video of the biggest web video personalities. Today at my house, Maritza Bautista and Marcela Moran are interviewing people for a documentary they are making about immigrant workers. 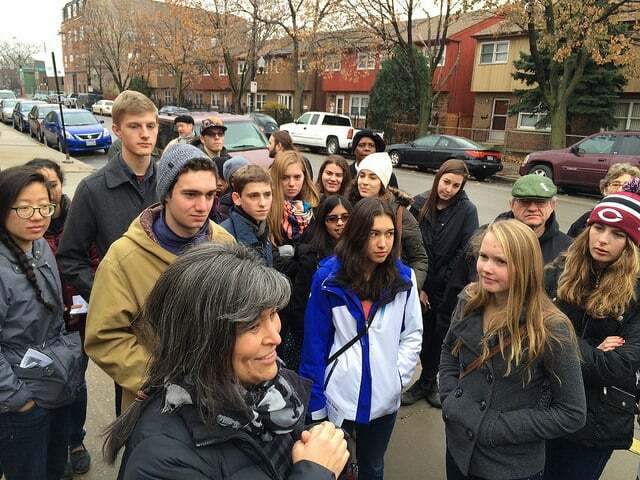 The Chicago visit follows their trip to upstate New York, and they have interviewed about eleven people all together. They have also screened Red Casas del Migrante Scalabrini at the Albany Park Workers Center. This is a documentary about a network of immigrant shelters in Mexico and Guatemala run by Scalbrini missionaries. Here is Marcela's previous award winning film, Casa Migrante.